Early in their careers, Acuitive’s founders saw plenty of dysfunction while managing international freight shipping at various carriers and supply chain companies. We also saw an opportunity to transform how global shipments were managed. An opportunity to shift from inflexible, paper-based processes to automated workflows that enable real-time collaboration and decision making in the cloud. We began building the software to realize this vision and, in 2002, Acuitive Solutions was founded. Since then, the company has quietly and methodically grown to become a trusted provider of web-hosted global freight management solutions for some of the world’s largest brands. When Acuitive first sits down with a client, we bring with us the hundreds of possible answers and custom solutions that might empower a client’s supply chain. 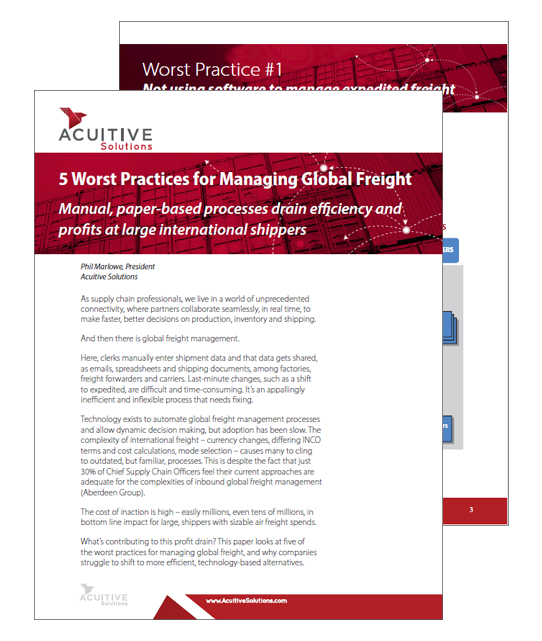 Like an origami artist forming exquisite complexity out of a single sheet of paper, we take the Acuitive tool and design custom workflows to automate and optimize our client’s international freight shipping processes. We listen, deeply, collaborating with clients to understand their issues, concerns and goals. Only then do we move forward, forming a thoughtfully crafted solution to reduce costs, improve visibility and streamline processes. 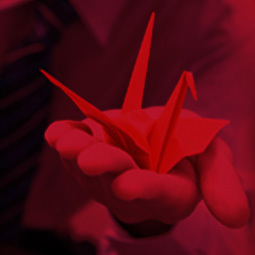 Our goal: turn a complicated puzzle into a simple, elegant solution, much like origami bird that symbolizes our brand.